Unforgiveable betrayals, devious motives, and forbidden love collide in the first installment of internationally bestselling author Sally Green's epic new fantasy series, perfect for Game of Thrones fans. A visionary princess determined to forge her own path. An idealistic solider whose heart is at odds with his duty. A streetwise hunter tracking the most dangerous prey. A charming thief with a powerful hidden identity. A loyal servant on a quest to avenge his kingdom. Their lives intersect with a stolen bottle of demon smoke. 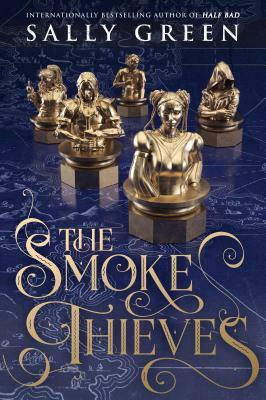 As war approaches, they must navigate a tangled web of political intrigue, shifting alliances, and forbidden love in order to uncover the dangerous truth about the strangely powerful smoke that interwines their fates.